One of the quandaries facing academic researchers, military and security professionals and politicians is the question of “defining terrorism.” The prevailing opinion is that there is no international agreement on the phenomenon of terrorism, nor can there ever be such agreement. Indeed, the number of definitions in use today is at least as great as the number of researchers. And yet, the strategic war against terrorism requires international cooperation against terrorist organizations and the countries that sponsor them. 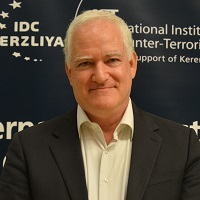 Such international cooperation requires us to reach an internationally accepted definition of terrorism - based on objective and measurable criteria - on which an international strategy for fighting terrorism can be established. Such a definition should be based on the rules of warfare established in the Geneva and Hague Conventions (and which most of the world’s countries have signed). These conventions make a very important distinction. On the one hand there is warfare that is seen as “legitimate,” in the course of which military personnel intentionally attack enemy military personnel. On the other hand there are “war crimes,” defined as any intentional attack by military personnel on civilians. The emphasis in this distinction is placed on the intention behind the actions - only the intentional targeting of civilians is be defined as a war crime, and not merely a mistake made in battle or an attack on civilians without prior intent. At times the same political objectives are used to justify the use of both terrorism and guerrilla warfare. In such cases, the two types of action can be distinguished from each other only by their targets and modus operandi. Thus, it can be determined that guerrilla warfare is a form of (legitimate) warfare, while terrorism is a form of war crime. The definition of terrorism as a war crime will enable states to act forcefully against terrorist organizations and can provide a firm basis for international cooperation. 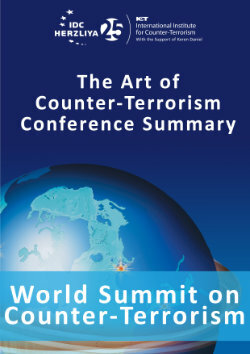 The states faced with terrorism and guerilla warfare have at their disposal a wide range of defensive and offensive punitive measures against terrorist organizations, as long as they do not violate the moral criteria of the accepted rules of war, first and foremost the intentional harming of civilians. True, these limitations make it difficult to conduct the war against terrorism - especially as the terrorists are not themselves bound by them. However, without them the state's moral basis to fight terrorism is null and void. The Israeli government's decision to change the rules of the game in Lebanon, thus restoring the initiative to Israel in determining the “redline” vis-a-vis Hizballah, was a step in the right direction. The agreements signed by the previous government at the end of Operation Accountability and Operation Grapes of Wrath determined “red lines” which sound, on the face of it, reasonable and equitable, but which in reality serve Hizballah. These “red-lines” were based on the principle of refraining from harming civilians. Hizballah endorsed the principle set forth in the agreements, according to which any harm to civilians by Israel - whether intentional or not - would lead to retaliation against Israeli citizens in the North. Hizballah, operating as it does from inside civilian towns, often in civilian guise, and enjoying full civilian patronage, is fighting against military personnel in Lebanon. Any attack, or even defensive action, against Hizballah is thus liable to lead to unintentional casualties among civilians - an eventuality that must send the residents of Northern Israel running for air raid shelters. It was clear to many - and certainly to the Israeli government - that there was an urgent need to change the rules of the game and to determine a new redline. This new line must rest on the requirement that the enemy pay a high price for any attack on the northern communities. The usual response - Israel Air Force retaliation against Hizballah targets - has so far been unsuccessful in deterring the organization from firing missiles at Israel. The attempts at large-scale ground operations in Lebanon also failed to yield the desired results. What remains is to try and attack other targets, with the aim of putting indirect pressure on Hizballah, and force the organization to think twice before firing missiles at Israel. Israel’s aerial superiority should indeed be exploited, however this air power must under no circumstances be turned on civilian targets - even infrastructure-related targets such as power plants, water facility, etc. Air power should be directed against Lebanese and Syrian military facilities in Lebanon - against bases and command centers of the Lebanese Army, and against Syrian dispositions in Lebanon - and not against civilian targets. The pressure on Hizballah must come from the Lebanese and Syrian governments, not from civilians. The intentional attacking of civilian infrastructure (outside of an all-out war) will bring in its wake harsh international criticism, pressure and sharp resolutions by the international community, which ultimately will cause a rethinking of any decision to target civilian infrastructure.